Ivory color kaftan with flowery pattern will give amazing comfort and contemporary chic to the wearer. It has V neck with hand embroidery on it for giving ethnic touch. It has simple designing yet attractive for any lavish beach and resort. 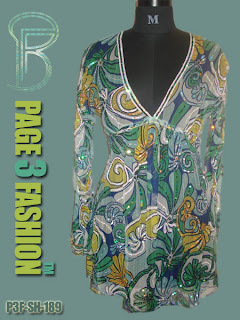 •	Prepared from fine quality Viscose Chiffon stuff. •	Beautiful flowery print and ethnic hand embroidery. •	Well designed for any lavish beach and resort. •	Have soothing and stylish appeal.